ENOVAL: Providing the next step in engine technologies and investing in a cleaner and quieter aviation future. The European Union’s technology programme ENOVAL (ENgine mOdule VALidators) will significantly contribute to a cleaner and quieter aviation future. It will provide the next step of engine technologies to achieve or surpass the ACARE 2020 goals on the way towards Flightpath 2050 and it completes the European 7th Framework Programme (FP7) EIMG roadmap of Level 2 aero engine projects. 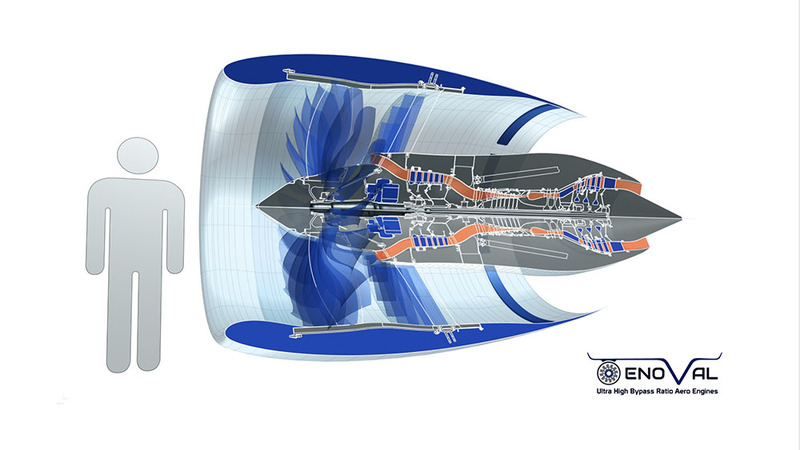 ENOVAL will focus on the low pressure system of ultra-high by-pass ratio propulsion systems (12 < BPR < 20) with ultra-high overall pressure ratio (50 < OPR < 70) of ducted geared and non-geared turbofan engines. 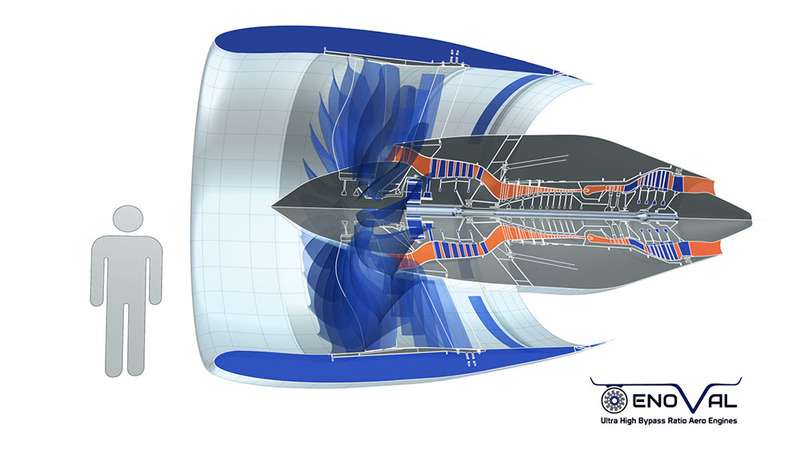 This will result in a significant fan diameter increase of 20-35% vs. the year 2000 reference engine, which can still be accommodated within the limits of a conventional aircraft configuration and is thus fully in line with the SRIA roadmap for 2020 (link to ACARE website). These engines are amongst the best candidates for the next generation of short/medium range and long range commercial aircraft applications with an entry into service date of 2025 onward. This will provide significant reductions in CO2 emissions in terms of fuel burn (-3% to -5%) and engine noise (-1.3 ENPdB). As an example, a reduction of 5% in fuel consumption of one mid-range aircraft (e.g. A320) leads to an annual saving of 1,200 tons of CO2. The reduction of CO2 and noise will have crucial economic and societal impacts: Airlines and their customers will be facing increasing fuel costs and the implementation of an Emission Trading System, as well as the necessary infrastructure development and its public acceptance to meet the requirements of future growing air traffic. In task 4.2.1, Ergon Research is involved in the design and commissioning of a test article focused on the investigation of heat rejection issues of future aeronautic epicyclic power gearbox. On the other hand in task 4.2.3 is involved in the development of innovative CFD models and procedures for the prediction of heat rejection issues in PGB, based on the outcomes of the experimental results. 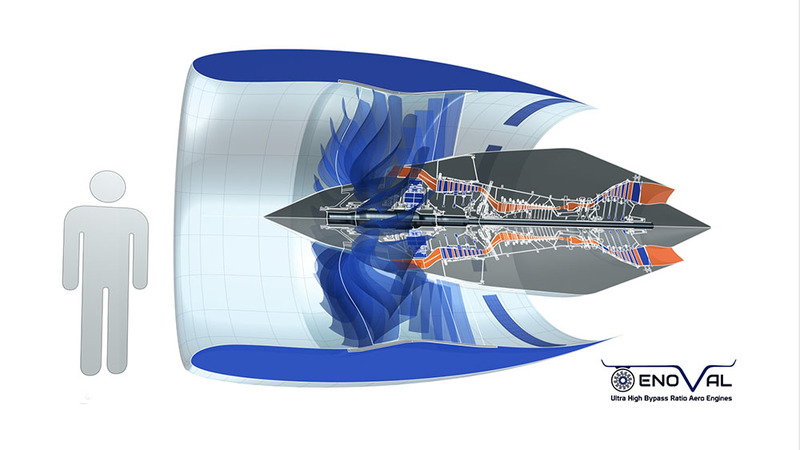 Finally in task 4.2.4 is responsible for the definition of best practices for the application of CFD computations to the design of geared turbofans.